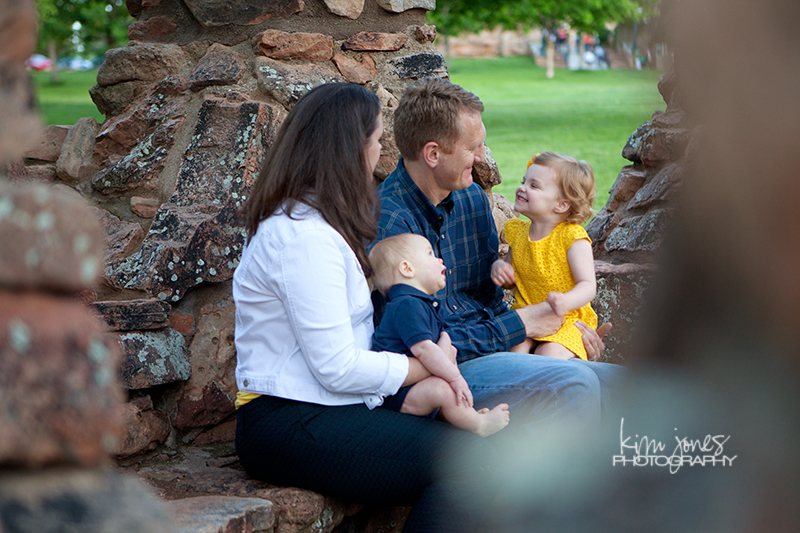 Okay, friends, this blog post is long over due. Really long overdue! Last year is now just a blur to me! 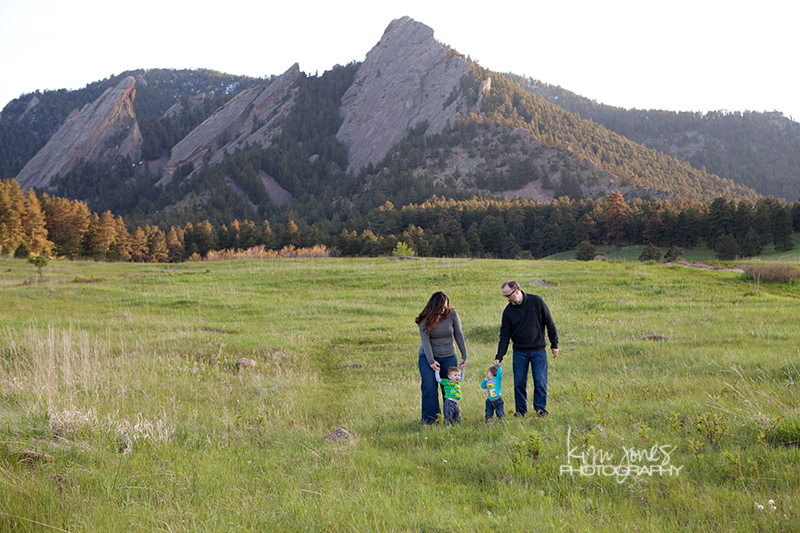 We moved at the beginning of the year and then welcomed our newest little guy, Colton, in the fall. Needless to say, I have put this off for way too long, but I still have a huge desire to blog about my solo trip to Germany. Yep, the very one that happened a little more than a year ago now. Yes, we’re talking 2012 folks. Will you come on my journey with me as a relive some of my favorite moments from my trip? I hope so! I am going to challenge myself to do one update a week over the next few months until I’ve shared all my favorite photos and details from the trip! So, a little back story on why I decided to travel to Europe alone. I lived in Germany about 10 years ago as part of my college experience and lived and worked over there for almost two years. I fell in love with the culture, food and people and have been returning every few years because Germany really is home to me as well as many places in the USA. I am an introvert, so the idea of having lots of time to myself was really appealing and I also wanted the opportunity to connect with friends and places I have missed so much! Thanks to my awesome mother-in-law and husband, my two boys were well taken care of while I was gone for 10 days! 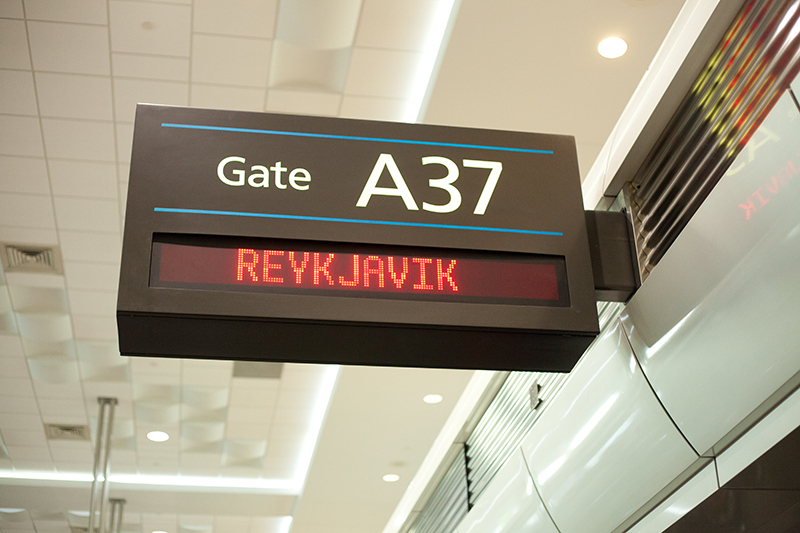 Greg, my husband, dropped me off at DIA on a Friday evening (10/19/12) and I started the first leg of my trip with an overnight flight from Denver to Reykjavik, Iceland. I then took an early morning flight to Frankfurt from Rejkavik and then hopped a ride on a speedy ICE train directly to Freiburg. Freiburg was the first stop of my trip and was meant to be a reunion of sorts with some of my friends from Italy, who I will talk about in an upcoming post. 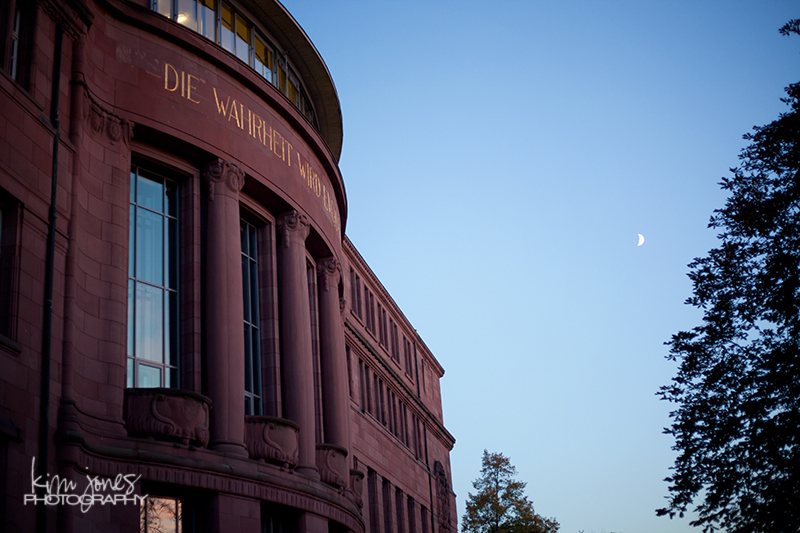 In college, I lived in Freiburg a full academic school year and attended the Universitaet Freiburg where I studied Germany literature. Freiburg is situated in the black forest in the lower southwest portion of Germany. 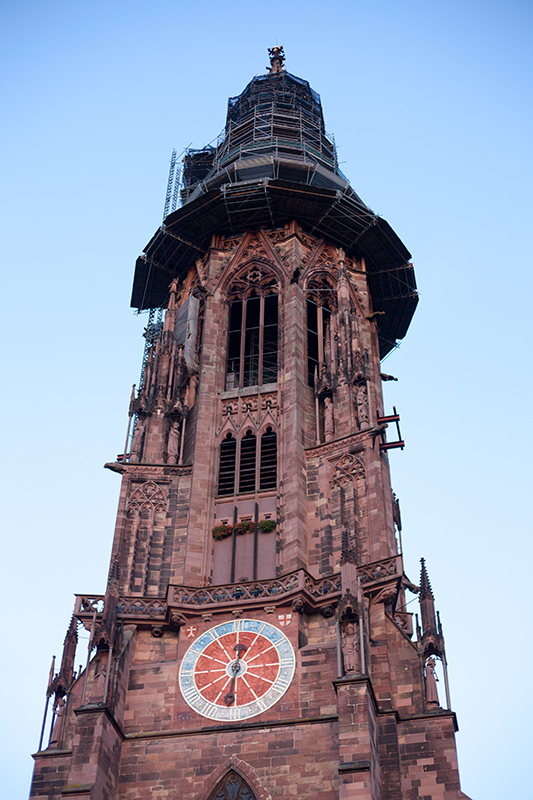 It is an hour from Basel, Switzerland and an hour from the border of France. When I arrived in mid-October, the weather was cooler, but still warm enough to walk comfortably around with a light jacket and scarf. 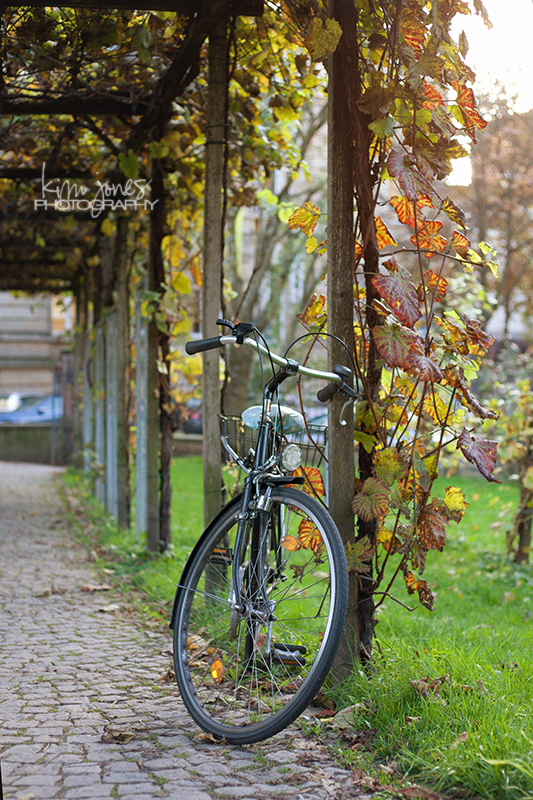 Right near my quaint little pensione (Hotel Barbara) in downtown Freiburg, there was a small park I walked through on my way to meet my friends for dinner. 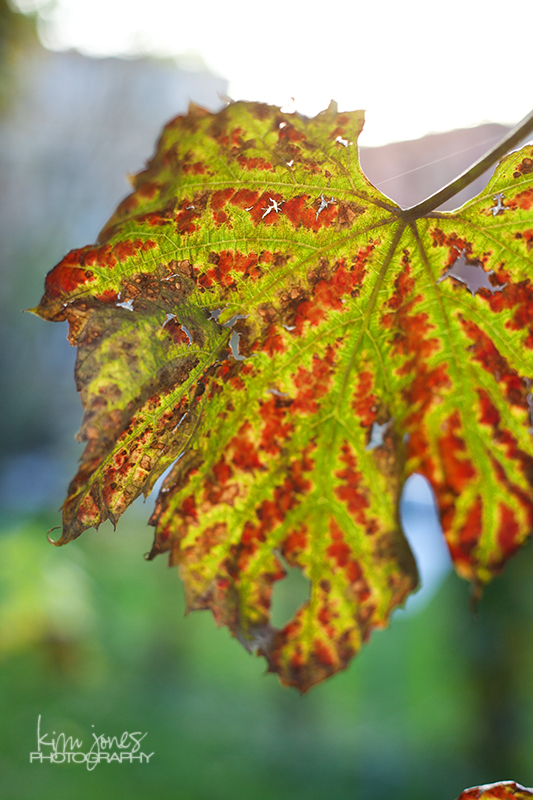 I loved the light coming through the grape leaves in these photos. One of my favorite memories from this trip was the “photo gold” moments I caught as I walked past the train station downtown. 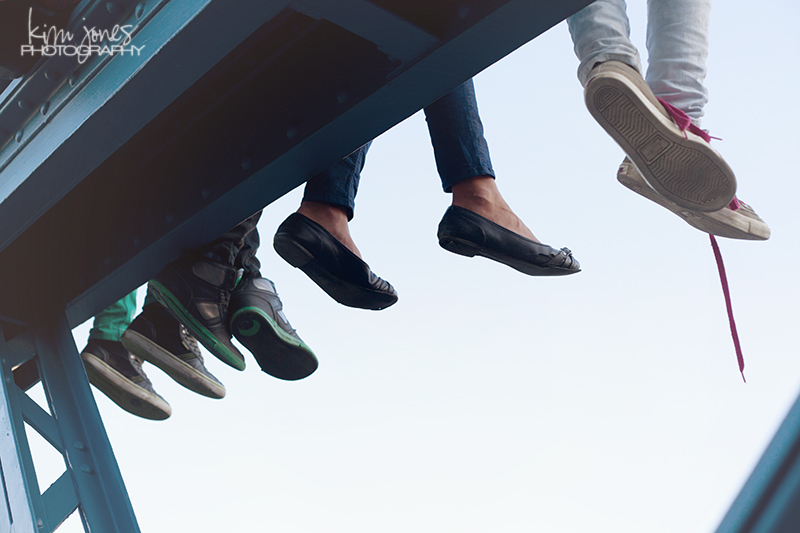 Once the students are done with classes for the day, they climb up to the top of the bridge, high above where the trains come into the station, and hang out with their friends until it gets dark. It’s the “new” hang out spot I guess (we didn’t hang out there when I went to school). I saw a cute couple snuggled together enjoying their little meal and kisses. 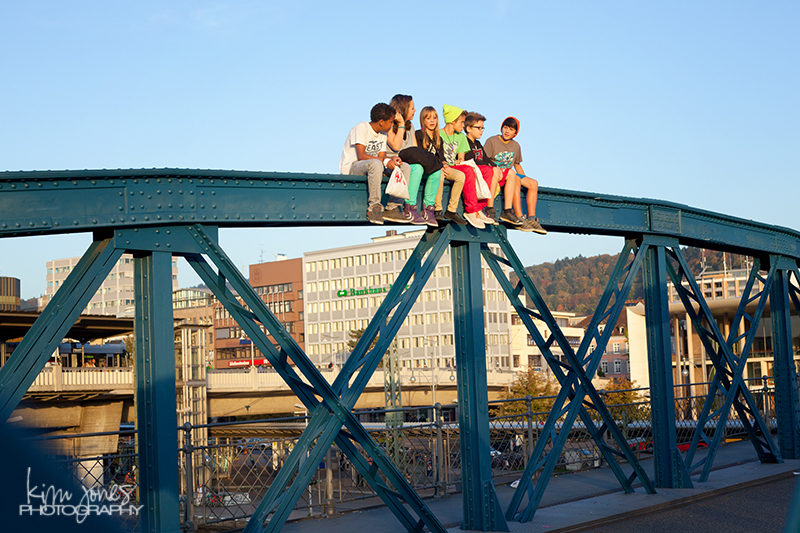 I saw young kids just chilling and doing silly kid stuff together. 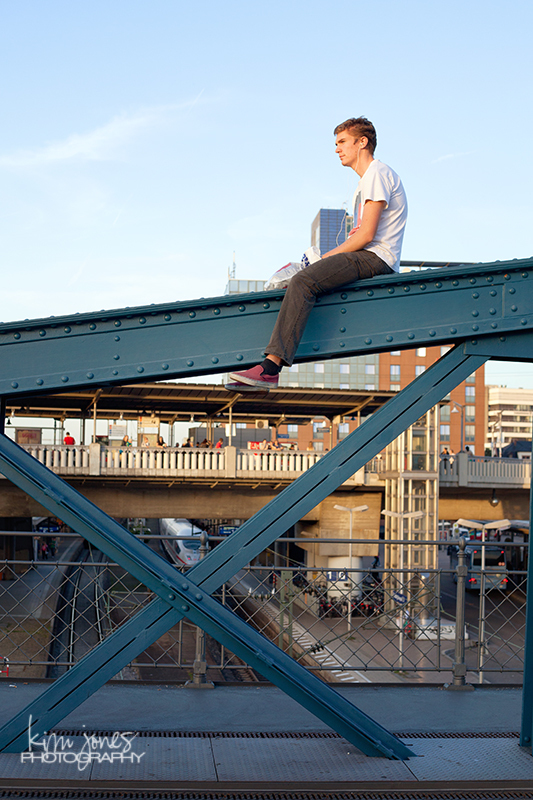 I saw a man perched up on the top of the bridge listening to music and watching the sun set over the city, seemingly lost in thought. These were magical moments for me because what I was experiencing was slightly out of the ordinary, rare and beautiful all at the same time. One thing I love about German culture is that they do quality time with their friends really well. I guess this is a new way to do just that! What a cool tradition! As I was walking through the downtown, the sun was starting to set. 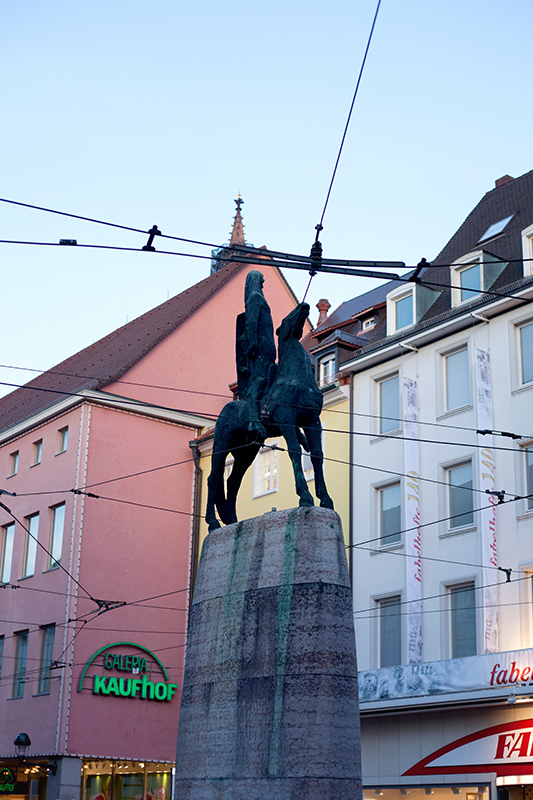 I strolled through the main square called “Bertoldsbrunnen” (man on horse statue below) on my way to the Freiburg Cathedral and my dinner with Francesco and Irene at Hotel Oberkirchs (a great place to eat if you ever find yourself in Freiburg, by the way). One of the thing I wanted to do most while I was on this trip was take the time to capture the details and spend time photographing the little things I overlooked while I lived here. This photo journey was also an attempt to push me creatively and “see” Germany in a new and different way as a photographer. After a really special and talkative dinner with my friends, I walked into the university part of the city to take photos at one of my favorite university buildings, KG I. Here the words on the top say, “Die Wahrheit Wird Euch Frei Machen.” The truth will set you free. More to come from my adventures in Freiburg next week!